This has been the hottest summer on record in Western Australia. Even the local Indian Ocean sea reached new temperature levels. With 34C forecasted for this 36th Waterski & Wakeboard World Cup Stop this coming weekend, the anticipated 140,000 plus spectators will enjoy the very best Wakeboarders and Waterskiers skills in glorious sunshine. Running along side will be action packed BMX and Skate Board competitions, plus Free Style Motocross â€“ and all will take place during the annual Channel Seven Crab Fest. Mandurah has certainly provided something for extreme sports fans, their supporters and thousands of families in this wonderful seaside location. Even the local Dolphins came to watch last year! 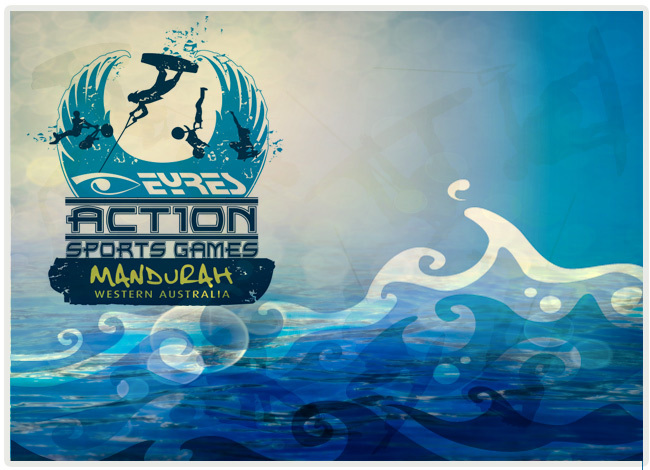 On this coming Thursday, the EYRES Action Sports Games Press Conference will introduce Waterski Jumper Freddy Krueger USA, Waterski Shortboarder Clementine Lucine FRA and Wakeboarder Harley Clifford AUS, to the Media at 11.00hrs at the Western Foreshore, Mandurah. Each will also provide a full action packed demonstration on the water. All three are the defending Mandurah World Cup Stop champions. Krueger is the current World Jump Champion, holds the World Record of 75.2m, has broken the World Record seven times and just last weekend, took the gold medal at Melbourne's Moomba Masters. Lucine is the only woman in the world to have ever scored more than 10,000 points in Shortboard and holds the current World Record at 10,040. She has already broken the World Record four times. Brisbane's super star Clifford is also the defending Mandurah World Cup Stop Wakeboard Champion, has won World Cup Stops in Palembang Indonesia, Sarawak Borneo, Linyi China plus many others, and is almost unbeatable at this time. In a sport which has an estimated 50 million participants, all three athletes are certain to thrill the Mandurah spectators this weekend. Twenty-three countries will be represented on the water. The Government of Western Australia, Department of Regional Development and Lands, Royalties for Regions, Eventscorp, City of Mandurah, EYRES, MasterCraft and the International Waterski & Wakeboard Federation, have all combined efforts to make this a very special occasion on Western Australia's annual calendar. 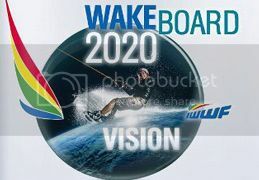 The World Cup Series will return again to Mandurah in 2014 and 2015 as confirmed by Mayor Paddi Casey this time last year.